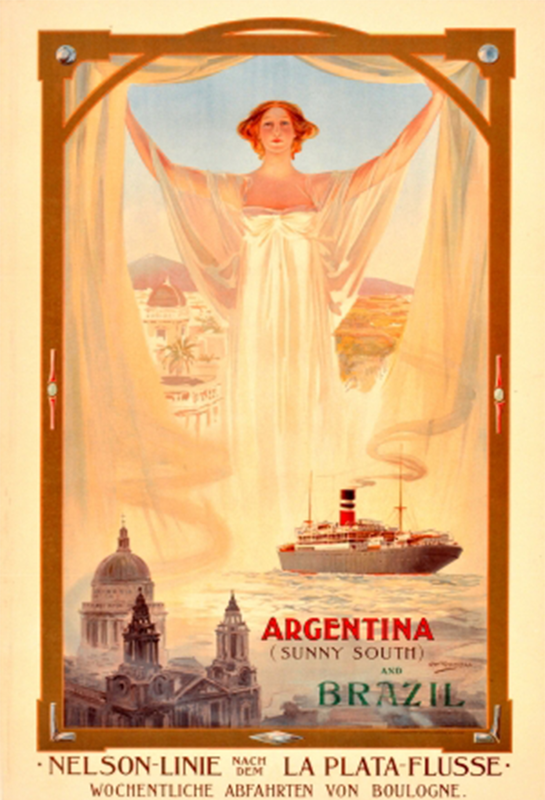 The exhibition focuses on ocean liner and railway posters, primarily from the 1920-30s; the Golden Age of Travel. This was a time when travel was not merely a way of getting somewhere but an experience in itself, often a luxurious habit. Powered by steam, mighty hand-crafted machines carried passengers for days on their journey to new adventures. The essence of romance and style of this period is truly captured by the elegant poster designs of the era. 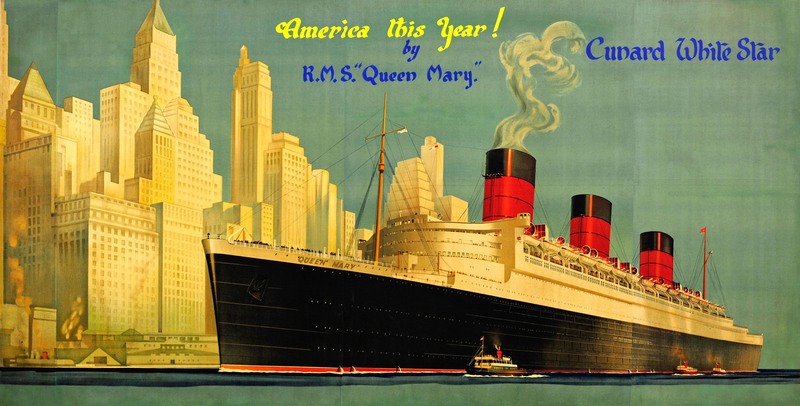 A fantastic piece on offer at AntikBar is a very rare 1930s Cunard White Star Queen Mary poster, which measures a towering 1.5x2.9 metres and shows the luxury liner sailing in front of the New York skyline. Adorned with: "America this Year!" Cunard White Star by RMS Queen Mary, the poster is an a empowering image of the ocean liner, which even dwarfs New York's colossal skyline. The Queen Mary was launched in 1934 and took her maiden voyage in 1936 as Cunard's flagship liner. During World War II, she was converted into a troop ship for the allies, resuming her normal transatlantic passenger services after the war. The sip was retired in 1967 and is now permanently moored as a museum and hotel in California. AntikBar specialises in original vintage posters, from advertising, sport, cinema, war and propaganda, predominately from the late 1800s to 1970s. ''The Age of Steam'' will run from 28th April-28th May, 2016. Check out AntikBar on Barnebys.